Clean/burnish contact points! Economical cardboard-backed emery board file is great for quick cleaning of most types of contacts in old and new games alike. Flexible, lightweight, and easy to use. Measures approx. 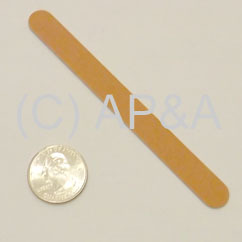 4-1/2 inches long and 1/2 inch wide. A must for any pinball toolbox! Grab a few for spares!